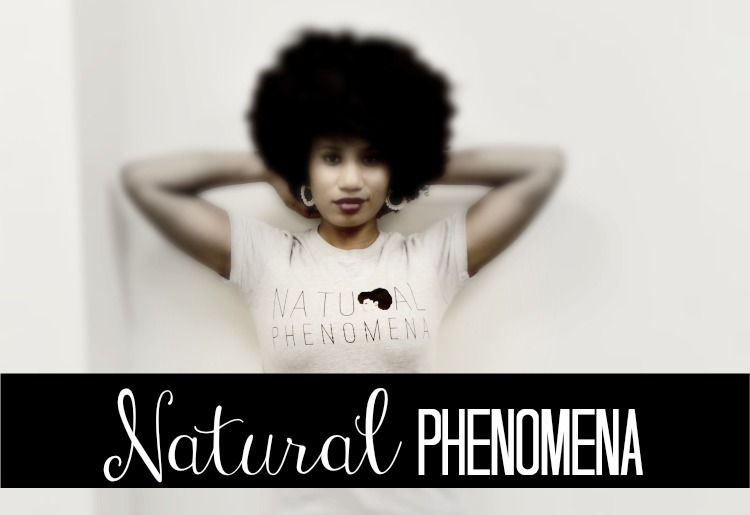 The natural hair community is growing rapidly and so are the clothing, accessories and hair products. 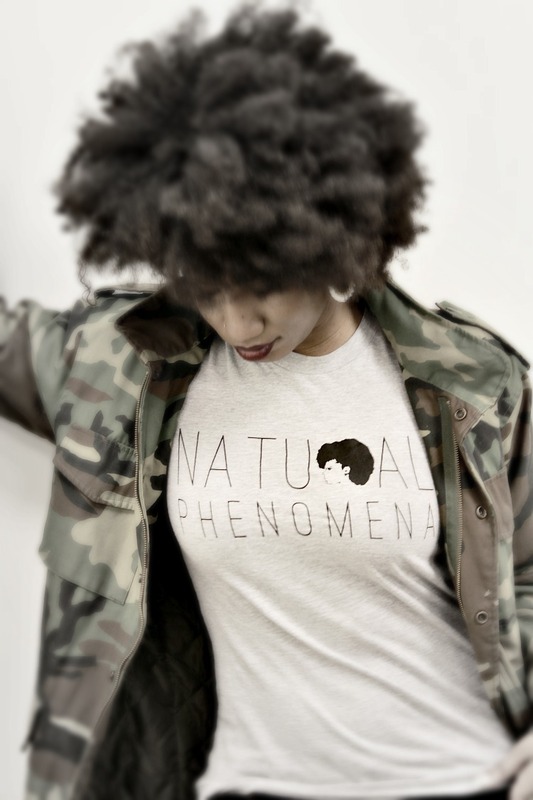 I take pride in my hair and the journey I've traveled for the past 3 years so I thought it was totally awesome when Black Cotton Apparel reached out to me regarding their natural hair t-shirts. I love tshirts for kicking around, working out and running errands - this tshirt fits lovely into my collection. 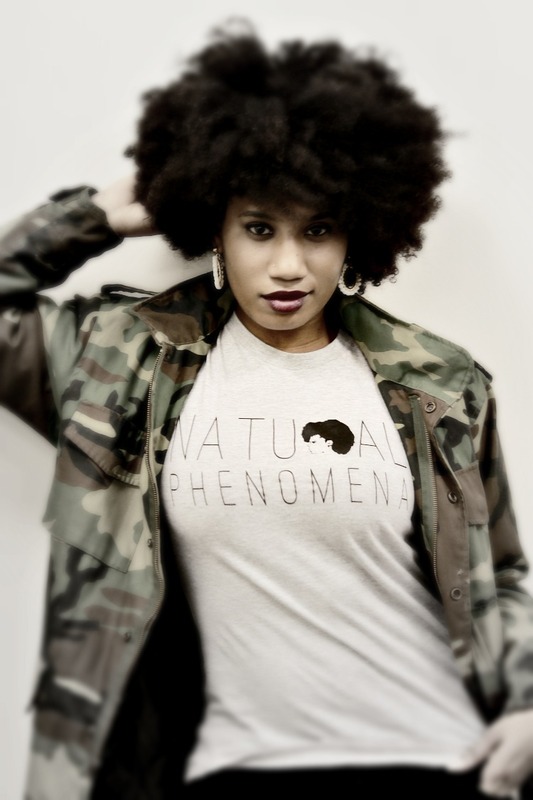 I paired my tee with black skinny jeans, black boots and camouflage jacket... Natural women are phenomenal... don't you agree? Use the code NAT213 for 15% off!!! Happy Tshirt Shopping!!! 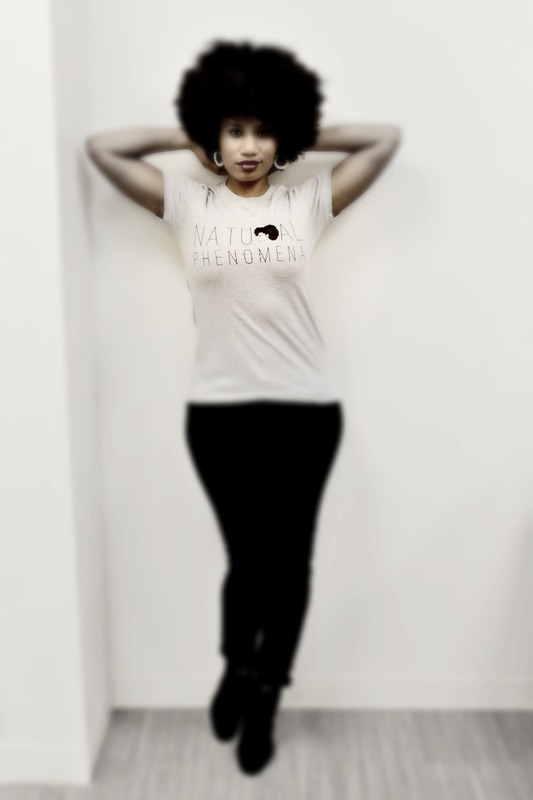 The Tshirt in this post was gifted/sponsored by Black Cotton Apparel. Love it and will definitely check out the looks! Hey Candace!! Thank you!! please do!! just discovered your blog and I love it !! And your hair are gorgeous !! Nice pics and love the Tee!